Geotechnical engineering is an important component of infrastructure projects. Our professional engineers and scientists have extensive experience developing subsurface investigation programs and work closely with a recognized Resource Group regarding specific laboratory testing, foundation requirements, lagoon liner requirements and other special circumstances unique to each project. 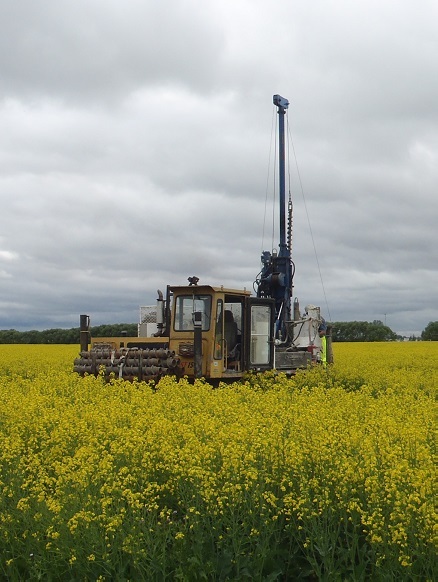 Our geotechnical studies are built upon effective sampling, careful technical review of subsurface soil material from the project site, and in-depth analysis of local geology. Using the compiled data, we recommend the most cost-effective design solution and address the risks associated with each option provided. We maintain a comprehensive resource library of geotechnical reports. See a selection of our geotechnical work.